SEO Makes My Head Hurt! Outside of us Cyber Marketing geeks, some webmasters and a handful of astute web site owners, no one really seems to know what SEO (Search Engine Optimization) really is. And trying to explain it to someone that doesn’t know? Sure! – I would have more fun banging my head against a studded wall or my keyboard, as my forehead can attest. And how about meeting new people? My ‘better half’ and I recently went out for dinner with our new Financial Advisor. Occupation is always a topic of conversation isn’t it? So when we met, he turns to me and says, "so you’re in computers?" So for all you people that love analogies, this is how I like to explain the importance of SEO. During my day-to-day activities, a large part of what I do is explain, or (at least try to) methodologies and SEO processes to clients, as well as would-be clients. In order to make this translation as painless and as easy to understand as possible, I like to use analogies. Drawing parallels between SEO and real-world examples tends to work quite well. So, here we go. Would you design and architect a house all by yourself or hire an architect to do the drawings? Considering you will be spending a great deal of time in your new house, I would hope you choose the latter. What kind of upkeep costs are we talking about, if your house breaks, the roof falls, cracks form in the foundation? A web site is no different. 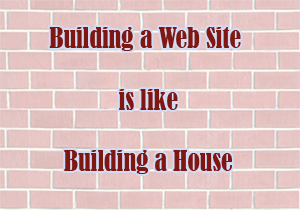 Get your website planned by a top architect with a proven track record and a good site builder (or contractor in the house business) or wolves will blow your house down! The internet just wouldn’t exist if it weren’t for links. Having no one linking to your website is equivalent to leaving your “house” stranded on an island. No links equals no search spiders which equals no visitors. Don’t build your house so that no one is going to build roads to your driveway! The house will be desolute quickly! What kind of results would you expect if you only went to the gym once? SEO is no different. 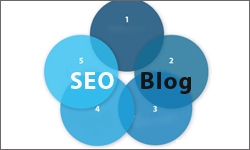 You will not receive the desired results if you don’t employ a proper SEO plan. Exercise that SEO plan and give it a regular workout man! Google brought this on with their Page Rank technology. In essence, a link to your web site is a vote. The more votes you get, the better your SEO will be. The voting system works much like the American election process. Yes it is great to get tons of votes but not every vote is equal. Get links from well respected sites in your niche and they are golden. You’ve just spent $1000’s of dollars on a brand new shiny billboard display including tons of man hours to create the brand. Now why would you go to all this effort if you planned on posting it in the Antarctic where no one will ever see it? 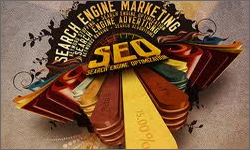 Not ensuring a strong SEO plan means you have done just that! Get that ad up in Time’s Square by having a strong SEO plan! You’ve agreed to put an advertisement in your local trade magazine or newspaper. The publication has a circulation of 100,000 people… Wow! – But how do you know how many of those will actually SEE your ad? Putting a site online makes your web presence accessible to 1.5 billion Internet users. Put an SEO action plan in place, and qualified, targeted users WILL see your site. So, back to the original question, do I work on computers? I think having a balanced mix of advertising is very good for your business. 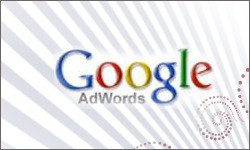 Agreed with your analogies, search engine advertising and SEO brings strong results compared to offline advertising. But if for some reason Google goes through a major algorithm change and you lose a lot of rankings you will still be attracting visitors from your offline methods. This is an impressively thorough explanation of what SEO truly is, nicely done! It makes much sense to a newbie like me. Thanks for the great article. Well worth the read. Web 2.0 has witnessed the unprecedented nexus between web and business – yes business is embracing Web era than anything else. And SEO makes or mars the prospects of business there. But when deciding between online vs offline advertising it is always good to spread your methods to even out your risk, as both are different entities. Great analogies there! You really simplified the complex process that SEO is. Yes, doing good SEO is no easy task at all. It requires real effort, time and patience. Deep research, proper planning and wise use of the head all matters if you are to taste success. Your hints will be of help without doubt. Again thanks and see you on the top :). So nice to stumble onto a good article once again. You have compared online and offline advertising well. We can advertise in a large amount of newspapers at the same time, and even at discounts. But if we look around on the internet advertising scene we will find a lot of these deals which will be as beneficial as advertising in 100 newspapers at the same time. And the key being to advertise consistently. These are the types of questions we get asked when people don’t really care about the answer. they want to appear like they are interested when they are really not. It’s kind of insulting. Next time someone asks you a stupid question like that, use really exaggerated body language and facial expression an ask, “Uh…ya…hey, so are you into…..stuff?